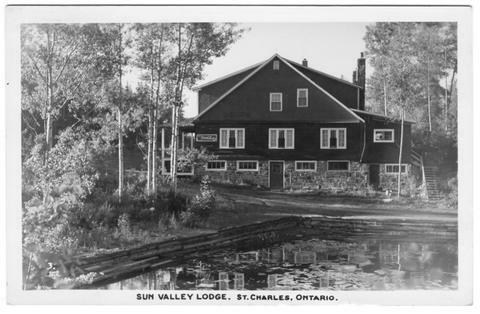 Item 031 - Sun Valley Lodge, St. Charles, Ontario. Card was cancelled [?] 1957. Card addressed to: Martha Frost. R.D. # 1. Salem. Ohio. Message reads: Hello Honey stayed at Perry Sound last night & came on here this a.m. Jim is going to Bonlin[?] with us in the a.m. see you later. Love Jack.